Percocet is the brand name for a mixture of oxycodone and acetaminophen. Opioids induce a feeling euphoria and numbness for the person taking the drugs and can lead to tolerance which leads to addiction. Acetaminophen can also, over the long term, cause liver damage. This risk of damage goes up with increased use of alcohol. The visible effects of alcohol use and Percocet abuse include slowed breathing and limited coordination. People who use alcohol and Percocet at the same time have limited judgment and are a danger to self and others. Tolerance to alcohol is decreased by the presence of painkillers. 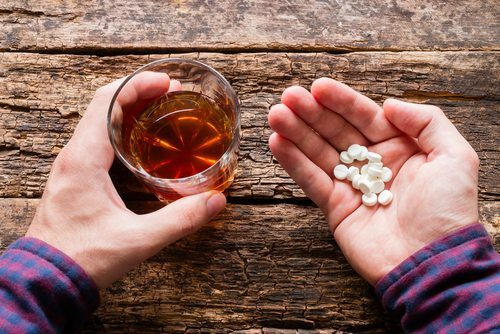 A person who mixes Percocet and alcohol may merely seem drunk but the combination can actually be more lethal than people realize. The main difference between mixing alcohol and Percocet with other painkillers is the possibility of liver damage. The Food and Drug Administration has issued a warning to pharmaceutical companies that limiting the amount of acetaminophen mixed with opioids is necessary. All painkillers weigh heavily on the liver and Percocet users are advised to avoid alcohol completely due to risk of liver damage. A person who builds tolerance will not know how much he or she is necessarily taking as it takes more of the drug to feel the same effects. Drinking exacerbates symptoms and possible long-term liver damage. Some potential treatment options can include financial, social and health consequences. These positive consequences are worth the struggle to figure out how to pay for treatment if it means saving one’s health now and in the future. Percocet and alcohol are not lethal unless taken outside of the how it is intended and when not used appropriately. Treatment is worthwhile for those who desire a new path in life and who want more for loved ones who are struggling and ready to get well. Connecting with a treatment center or rehabilitation professionals who understand addiction is one of the first, big steps in the right direction towards seeking healing and recovery from addiction. At Cypress Lakes Lodge, we bring integrative therapies to life during treatment. Our unique vision of synergizing holistic and therapeutic treatment creates an effective treatment program for addiction and dual diagnosis issues. Call us today for more information, at 1-877-938-1577.